Maddie has been shown sparingly, in her show career she is a consistent challenge winner & class in group winner also has received both major R.O.M awards at breed champ shows well as class in show,Best Exhibit in show B.T.& B.T. [m] assoc ghamp show. 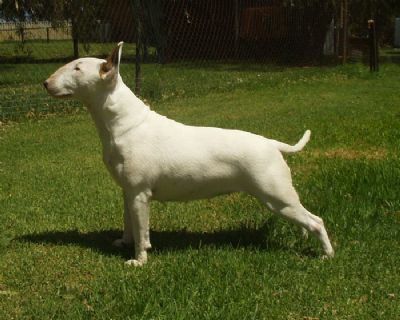 Puppy of the year 2006/2007 for the Bull Terrier & Bull Terrier [miniature] Assoc of W.A. point score.